The Shfela lowlands in south-central Israel, at the foot of the Judaean Mountains, is characterized by a thick layer of soft chalk that was extensively quarried in the past by the local population leaving the underground hollow like a piece of cheese. 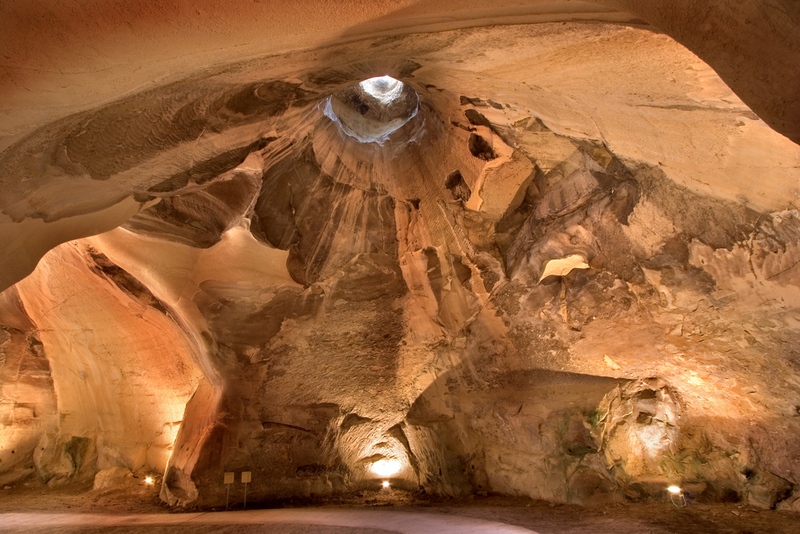 There are more than a thousand caves here underneath the former towns of Maresha and Bet Guvrin situated on the crossroads of the trade routes that led to Mesopotamia and Egypt. These quarried caves served as cisterns, oil presses, baths, dovecotes, stables, places of religious worship, hideaways and, on the outskirts of the towns, burial areas. The caves are now one of the main attraction of this area.